First off, I’ll explain a bit about linoleum and where it comes from and how it came to be used for printmaking. Then I’ll explain the difficulties with using it and how to overcome them. Lino was first used as a floor covering in the late 19th Century. It was invented by Frederick Walton who noticed that as it dries, linseed oil forms a skin. He started drying out linseed oil and mixing it with a variety of filler materials. In the early 20th Century, members of the German Expressionist group Die Brucke (The Bridge) were among the first to use it as a printing plate. Perhaps I’ll write a more in depth post on lino through the ages, but for now, just understand that its been used for ages mostly because it’s cheap and it doesn’t have any grain, which makes it ideal for carving intricate designs. But What About Lino Today? Sometimes you hear people call PVC flooring lino. It isn’t the same stuff, and it won’t carve easily. There are a few different grades of lino. The heavier ones are called “battleship” because they were once used on the decks of U.S. Navy battleships and submarines. Grey Lino – (£42 per square metre) 3.2mm thick – Some people call this “battleship”, but I really doubt it’s as thick as the true battleship lino. It’s pretty easy to come by and I can get it in big sheets, which is cheaper – Lawrence.co.uk. Amber Lino – (£25 per square metre) 3.2mm thick – This I haven’t seen since I was at art school, it is thin and very flexible which makes it easy to carve, but that also means you won’t get as many impressions from it before the structure breaks down. Generic Art Shop Lino (£66 per square metre) – This is thick (5mm) and unforgiving stuff. Use this at your peril. I guess it would be fine for light delicate images, but you really have to watch it when you are clearing out the white spaces, it comes up in chunks if you are not careful and can mess up hours of work. If you want to try this out, they have it at Lawrence.co.uk too, but you have been warned. Wow, working this out has really made me think I’ve got to get hold of some more Marmoleum, if only because of the price. It looks like a future post might be a video test of all of the varieties to show you the differences. 1. Have sharp tools – if you do a lot of lino cutting, your tools will dull more quickly than if you are cutting wood, so look after them. 2. 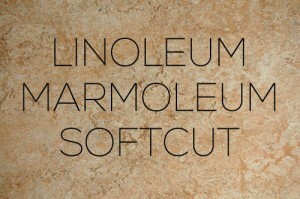 Warm your lino – if you use it cold, lino can be unforgiving, and it may as well have a grain. By the way – though I’ve linked to Lawrence.co.uk and afloor.co.uk websites, I get no kickbacks from them, I just like the shops and have found them helpful in the past. Hi, I always have trouble registering linocuts with several colours. Is there a good way to do this? I have googled it and have failed to follow the complicated descriptions. I feel your pain. Am working on a video series on just this topic at the moment. It’s tricky to understand what people are getting at without seeing it work. I like the ‘Card Corner’ method – here’s a link to something similar http://www.wetcanvas.com/forums/showthread.php?t=587092. I see you’ve signed up for news updates, so I’ll let you know when the tutorials are live – Good luck, Matt. Whatever happened to your registration video series? Try these. A lot of printmakers now using them for very precise registration. Hello! I was just wondering which of the lino’s listed above are your favourite? I bought some of the softcut recently and couldn’t get on with it! Thanks for your question. My favourite is the grey lino – it keeps a good line, and smells great (wierd, I know). Maybe it’s just me, but whenever I use softcut, it seems to dull my tools more quickly. I would recommend that if you are using changeable nibs, you get a box of spares as they don’t keep their edge as well, and are a bit of a swine to resharpen. Detailed areas can be tricky because of the amount of flex in the softcut. You could drop £13 each on some mushroom-handled Swiss lino-cut tools which go down to miniscule sizes. I have some of those. Or you could just use a craft knife/scalpel for the details – there’s a bit of a knack to it, but you can get some brilliant results. If you do the latter, you might want to mount your soft cut onto a block so as not to go right through the substrate. I think I’ll put this on the list for a video – it needs some visuals really. I’ll let you know when I post it. Found you with a Google search. Is there a particular marmoleum that you would recommend or are they all the same? I’m in the US (if that makes any difference). And I agree – how it smells is very important. You’re spending a lot of time with the material. I was wondering what your thoughts are on whether softcut prints can be called lino prints when it comes to selling them? Or do they need to be called relief prints?? Hi Jo – good question – I’d be inclined to err on the side of caution and state that you used Soft-cut as the matrix (I’d probably also make a note of the brand and type just for my own records). It’s unlikely you’d be called out on it, but your labelling is technically part of your print’s provenance. Plus, what if 5 years from now you lose track of your blocks and you can’t remember what you used? Hope that helps, Matt. Thanks Matt, I have a number of plates already made using softcut and have been wondering how to label prints from them. People understand the term lino print and the look of it and I suppose I have been trying to make sure people who are looking for lino prints can find me. I was thinking of writing ‘lino printed using softcut’ in the description. What do you think? People can easily google it if they are wondering about the process? That seems like a reasonable description. What I tend to do with my prints is put an information sheet in with each print detailing the process. I also give my contact details and invite customers to contact me for further information. BTW, I love those Christmas decorations you made a while ago. Thanks, that is really helpful. Currently furiously carving away for Christmas cards. Aching wrists and neck! I am currently living in Singapore but return to the UK whenever possible. I have been working with PVC lino sheet which is really fantastic. You do have to work with a totally different pressure to the old lino but it is very durable and dries real fast. My question is, where can I buy large pieces of lino? Like a meter square. Could I just use lino from a flooring company or would that be coated? Desperate to get into some BIG carving and printing. You can also get Forbo Marmoleum in huge sheets from flooring specialists. You will likely need to lightly abrade the surface though to get a good key for the ink. Do send some pictures of the results, I’d love to see. Good luck! But then… I moved to Glasgow and suddenly, there was not way to find a supplier… and here you are! 🙂 you made me the happiest woman ever! Hi good morning, I am a photographer by trade, and a bit arts and crafty by nature! My son (15) is doing v.well in art at school and came home with a superb A2 sheet of Lino cut prints using multiple colours ( an anatomical skull ) reproduced twelve times . Because of this I am inspired to take on a challenge and make a Lino cut from portraits of each of us then bring it together in a large, ‘letterbox’ shaped print. Your article and all comments have proved most valuable and helpful, thank you. I am off to find some samples . I have a set of ‘flex cut’ wood whittling tools, so I am really keen to see where this takes me. Thanks again for an excellent intro to the craft and the history behind ‘Lino’. I wonder if you can help. I’m having trouble transferring the image I want to print onto the Lino. I am using SoftCut and trying to trace the image using carbon paper but it’s not working. Do I need to use a different method or am I going to have more success if I use traditional lino? Any advice would be gratefully received! Thanks. A very late reply to this one but you never know if someone finds it useful. Laser printed images (not inkjet printed) can be transferred to Softcut (and just about anything else) by using acetone – nail polish remover – applied with cotton ball. Push down onto lino from back of paper. Don’t rub the paper or it will disintegrate. I have more success with outline images rather than solid blocks of laser printed sections. Yes, that’s a great way to transfer images. It’s how I do it now (when my laser printer decides to work). can you tell me about buy a linoleum for a lino cut printing? and i live in Iran, how can i get it? I have been using Softcut both the biscuit colour and the white which is thicker. I like the white one, however it is a bit more grainy and is not really suited to very fine work. Re registration: the best method I have discovered from my research is to sit your lino block in a cardboard/corrugated card base which can be cut from packing boxes, place the lino on the cardboard base with plenty of room for paper and cut a hole exactly to the size of the block. Make sure you cut accurately and that the block sits very snugly in the hole, back the hole with another piece of cardboard, so that the hole has a back to it. Your lino will now have a secure base from which to be printed. For the paper, cut it to size – slightly smaller than the cardboard base. Align it with your block (uninked or uncut of course). Then on the left side of the paper, stick down two layers of masking tape, then and this is the important bit – draw a horizontal pencil line from the base onto the paper.. For the second sheet of paper line up your paper and again draw a line from the edge of your paper inwards about 3 cm. It works every time for me. Every time you print line up these marks on the left side. However make sure you don’t use some of the rag papers which expand on printing with water based inks as your registration will be out. I use Zerkall at the moment. Hello, I have sent off for some samples of marmoleum. I was wondering does it have the jute backing and is it much like Amber linoleum? I am looking forward to the smell. I have used the soft cut and its easy to use and prints well. I am going to do lino with my adult art class, so I want a cheaper material to print with. Marmoleum? Here’s an odd query for you! What do you do with the leftover linoleum cuttings ? Sorry for not answering straight away. Child number 5 was born a few days ago, and I’m still playing catch-up. If you mean the one or two inch wide strips left from cutting lino sheets to size, then I’m a bit of a hoarder, so I can’t resist keeping them. I’ve made a few series of really tiny linocuts and printed them all together on a single sheet of paper. If you mean all the shavings, proper lino or marmoleum should be biodegradable, depending on the fillers used – lino’s mostly cork and linseed oil. I’m guessing if you collected it all up, you could mulch the garden with it – what do you think? I found your advice on the different linos really helpful and also the comments from your other subscribers. 2 of my friends and I have recently started lino printing and would like to subscribe to your newsletters. Thank you for your advice.Oh, and it would be nice to see examples of your work. I’m glad you found it helpful – I’m just reworking the site at the moment. I’m building a library of guides to different types of printmaking with references to other online resources too. I’ve been videoing some of my process for linocut this week. As soon as that’s edited, I’ll give you a shout. In the mean time I’ll sign you up as a subscriber. I am new to lino printing and I have found all the advice very useful. Should you also sign me up as a subscriber to your newsletter. Quilting is my background, but I am loving this delve into lino printing onto fabric. I’m trying to do my first reduction prints at the moment and i’ve been trying to draw out the whole design on the sheet but i’m having issues with the ink transferring during the print. i’ve tried with both classic brown lino and soft cut grey matrix and with stabilo permanent pens and sharpie pens too. Do you have any suggestions please? Thanks for an interesting article. I haven’t made any lino cuts since school but I want to take it up again alongside screenprinting. Please can you add me to your mailing list. I had tried to do this via the link on the page but came up with an error message. 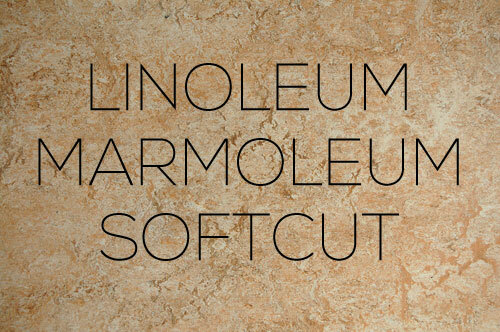 Possibly a silly question…can you use hardware store linoleum? Or does it have to come from an art store? I will be teaching printmaking this year and I haven’t done it since art school, so I must practice, practice, practice! In point of fact I believe ‘battleship lino’ is actually called ‘battleship gray lino’ by virtue of the fact that the COLOUR is gray rather than that it was used on the decks of battleships. As you mentioned, I doubt the stuff sold today is used on ships any longer. Battleship lino was apparently made to the specifications of the US Navy for use on covered decks. It’s unlikely to be much like the lino used today though. Like you say, it’s now most likely named because of the colour. Forbo marmoleum from afloor.co.uk is only 2.5mm thick. They don’t sell 3.2, unfortunately. You mentioned that you’d used it for flooring, and found the scraps good for Lino cutting, but was it only 2.5 mm thick, and if so, how did that work? I have recently used some old brown artists’ Lino I had kept in a strong metal box for 23 years, and to my amazement, it’s wonderful to cut. Doesn’t even need warming. I can’t source it here in the UK so far, as it came from Canada when I lived there. But you can snap off a cut cleanly, unlike with all the other types of imitation Lino, where you have to make a second cut. Any comments on the thickness of your own marmoleum samples would be appreciated.